Is it possible to speed up this calculation? 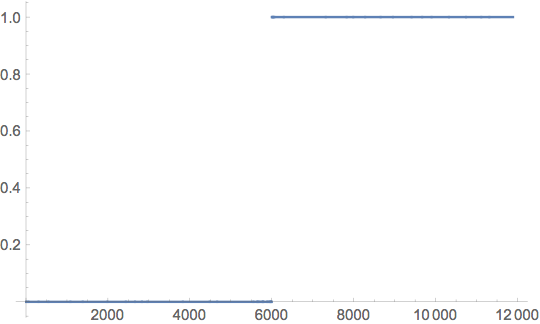 Mathematica complains due to the occurence of very small numbers that cannot be represented in machine precision. However, the built-in cummulative distribution function (CDF) of the BinomialDistribution is sufficiently robust against that (replacing very small numbers simply by 0.). which ought to be very stable to evaluate. If needed, however, one can also implement the de Casteljau formula so that the Bernstein polynomials are recursively generated instead. Not the answer you're looking for? Browse other questions tagged performance-tuning probability-or-statistics summation or ask your own question. Sum of binomials gives indeterminate result… why? 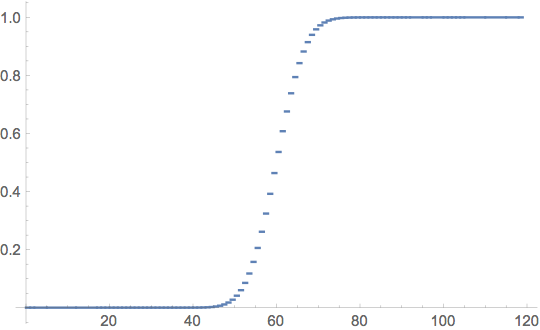 What does Mathematica do with binomial coefficients when their arguments are negative? How to speed up this calculation regarding the normal distribution?